The model 1739 is a high resolution, low current DC power source with excellent load regulation and low noise characteristics. 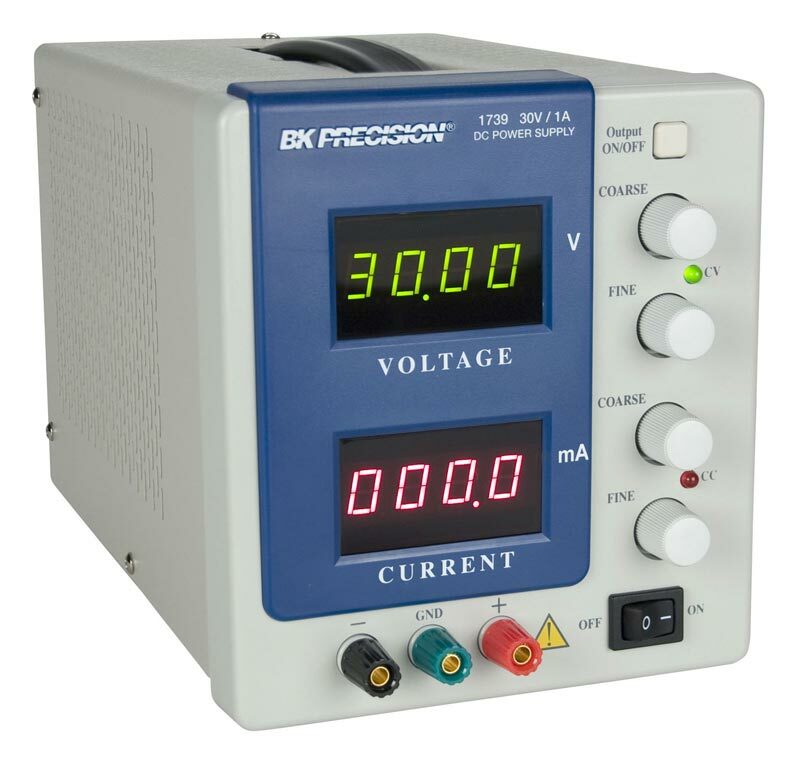 Two 4-digit LED displays continuously monitor the output voltage and current. 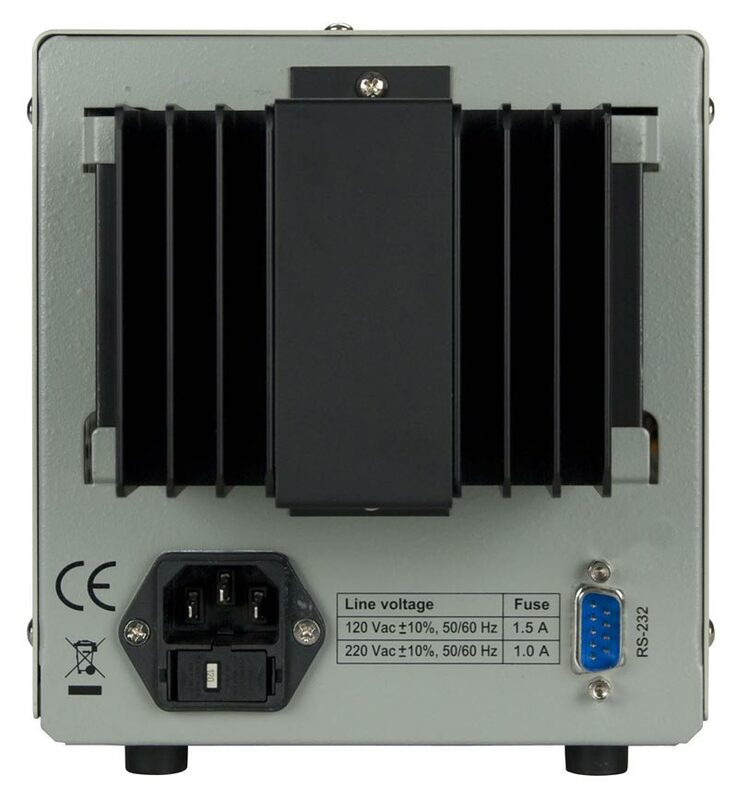 The power supplies can be operated locally from the front panel or remotely through the RS-232 interface. The mechanical configuration conserves bench space and allows for easy portability. 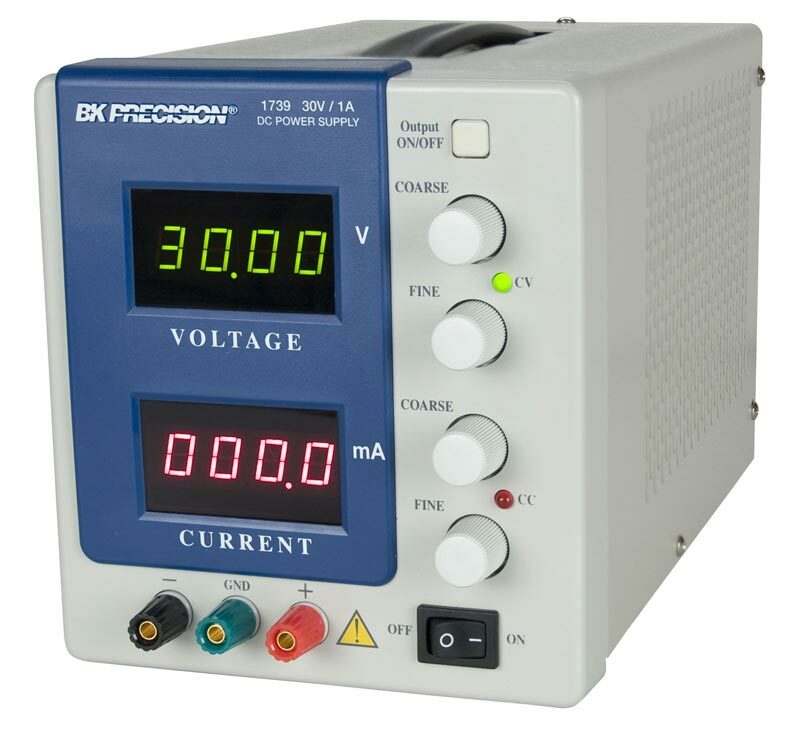 Using a MOSFET circuit design and high quality components with very low temperature coefficients, the power supply is extremely stable and capable of outputting current as low as 1 mA with a 100 uA settable resolution. 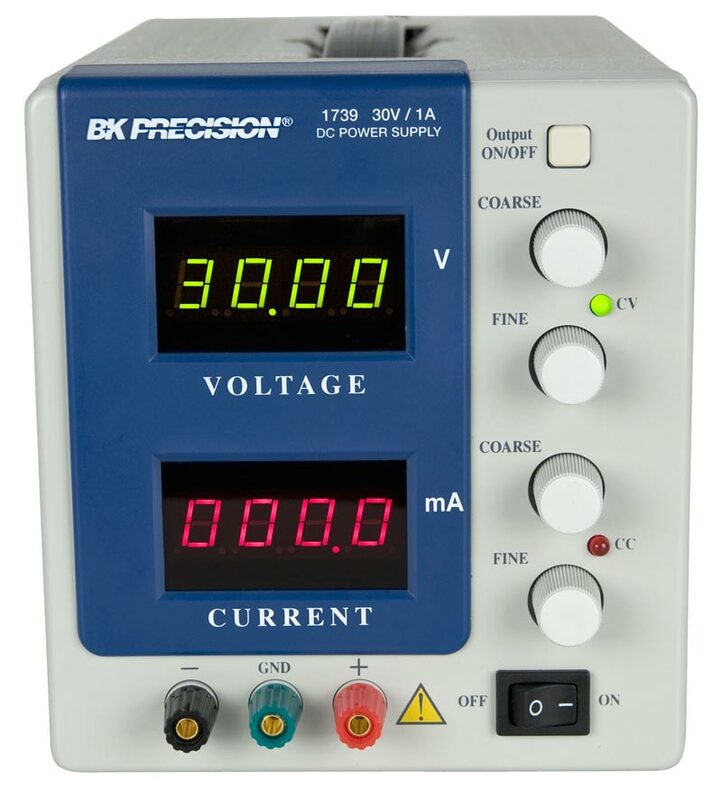 This power supply was designed for electrical and electronics applications requiring precise levels of low current, including 4-20 mA current loop testing, calibration, or basic IC testing.